The first half of this year has, for me, been profoundly marked by FEZ and its creator, Phil Fish. 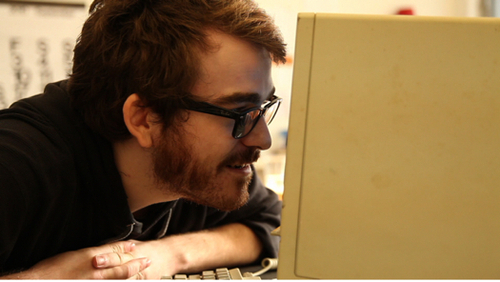 Phil Fish in Indie Game: The Movie. Of course, it was the release of a widely anticipated and iconic indie game. True, there were repeated ‘controversies’ spawned by remarks of the outspoken game designer. But those are not the reason Phil Fish and FEZ have had such an important place for me in 2012. The first reason is a week-end. FEZ was released on the 13th of april. A friday – of course – which would see me buying an XBOX360 game (after borrowing the console from a friend). Then, along with my girlfriend and a friend, we spent the week-end in another world. We became completely immersed in the game. Information had been scarce before the release, so I was in no way prepared to face a game that is way more about cryptology than platforming, and I was delighted. I have played quite a few games this year, yet FEZ stands out as the most absorbing of them all. And I loved the way you had to scribble notes on paper while piecing together the answers to the game’s riddles so much that I made a tumblr for them (which was later tweeted by Mr Fish himself, then much later even mentionned on a post on Venus Patrol, both my biggest ‘fan’ moments of the year). It felt like falling ever deeper into the rabbit hole, opening successive doors leading to more doors. The colorful, and deeply mysterious world of FEZ. The second reason is that FEZ, and by extension Phil Fish, have strongly reaffirmed my hopes that games could still be mysterious affairs. 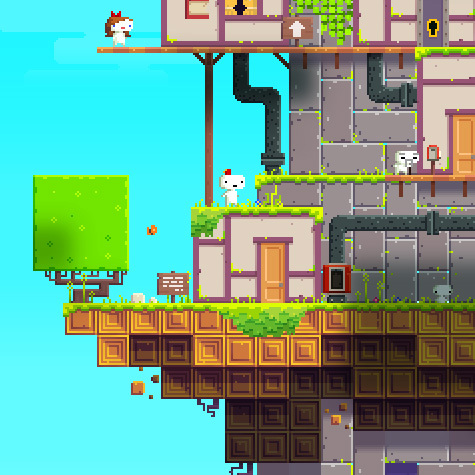 Many were very critical of the way FEZ seemed to be stuck in an eternal development limbo. I, perhaps because I did not follow FEZ from the very beginning, was less upset, and put faith in the developer’s judgment. And it payed off. Phil Fish, as uncompromising as he can be, managed to evoke the sense of wonder that video games had for me when I was younger, but tuned for my older self. And thus FEZ became a game I want to measure my own against. Not because I want to make a FEZ-like, but because I would nothing more than make a game that evokes a similar sense of wonder. If you want to learn more about FEZ or its developer, you can head to Polytron Corporation. You can also follow Polytron on Twitter if you would like. If you would rather listen to some awesome house-disco-spacey mixtapes, you can enjoy the great playlists proposed by the ‘Polytronaut‘ on 8tracks. Thank you for being an inspiration to me, Mr Fish!